As 2014 comes to a close, I'd like to take this opportunity to thank you for supporting our work. It's because of people like you that countless individuals around the world are now living better life stories. With your support, we're able to take meaningful and measurable action in a number of ways. Thank you again for helping to empower individuals and strengthen green communities in Croatia, and around the world. Together, we're building the kind of world we want all our children and grandchildren to live in. From everyone at the Croatian Center of Renewable Energy Sources (#CCRES) - Merry Christmas, and have a happy holiday season. Naša iskustva nedvojbeno potvrđuju da je u početnoj fazi provedbe politike obnovljivih izvora energije najveći udio strane opreme i know how-a, međutim s razvojem i realizacijom projekata, sve više i više se povećava udio "domaće komponente projekta" koja uključuje opremu, uslugu i radove. S time se razvijaju i osnažuju specijalizirani razvojni i proizvodni programi, inženjering i sl. Postoje procjene unutar Zajednice obnovljivih izvora energije (HGK) da je moguće ostvariti sinergiju odnosno udio domaće komponente u vjetroelektrani do 70% ukupne vrijednosti, pri čemu neke poslovne inicijative idu u pravcu razvoja specifičnih proizvodnih programa kroz mješovite tvrtke i zajedničkih projekata s renomiranim stranim partnerima. Također, očekuje se da će se Končarov projekt razviti u dovoljnoj mjeri da u budućnosti osigura i regionalnu tržišnu perspektivu. Sukladno propisima o građenju (Zakon o prostornom uređenju i gradnji NN 76/07) zabranjeno je planiranje i gradnja vjetroelektrana u zaštićenom obalnom području mora (otoci i obalni pojas 1000 m), a rigorozni uvjeti instituta procjene utjecaja na okoliš sagledava sve utjecaje vjetroelektrana na okoliš (buka, krajobrazni i ornitofaunski utjecaj) te, u konačnici, kroz javnu raspravu uvažava stajalište lokalnog stanovništva. Ne smijemo zaboraviti da je i napredak tehnologije vjetroturbina doprinio i poboljšanju tehničkih pogonskih karakteristika i značajnom smanjenju utjecaja na okoliš (buka, ornitofaunski utjecaj i dr.). is a cold water algae species that is found in the middle to lower shore in many parts of Europe and the North Atlantic Coasts of America. It can grow in depths of up to 20m on both exposed and sheltered shores. It is found growing on rocks and on the stipes of L. hyperborea and Fucus serratus as an epiphyte. Palmaria palmata can be eaten raw, roasted, fried, dried, or roasted, or as a thickening agent for soups. Alpha-carotene, beta-carotene, calcium, chromium, cobalt, iodine, iron, lutein, manganese, magnesium, niacin, phosphorous, potassium, riboflavin, selenium, silicon, sodium, tin, vitamin C, zeaxanthin, and zinc. The entire plant, dried and cut. Added to food in the form of dried flakes or powder for a slightly salty flavor, can be drunk as a tea. Also suitable as an extract or capsule. Palmaria palmata is an excellent source of phytochemicals and minerals, and a superior source of iodine. Don’t overdue, and avoid it entirely if you suffer hyperthyroidism. You only need a few flakes, or as little as a quarter-teaspoon a day, to get your mineral needs, and it is best to get your minerals from a variety of whole food and whole herb sources. Don’t use on a daily basis for more than 2 weeks at a time, taking a 2 week break before using again. This will prevent you from overdosing iodine with potential imbalance in thyroid function. For periodic use only and not to be taken for extended periods of time. Not to be used while pregnant. 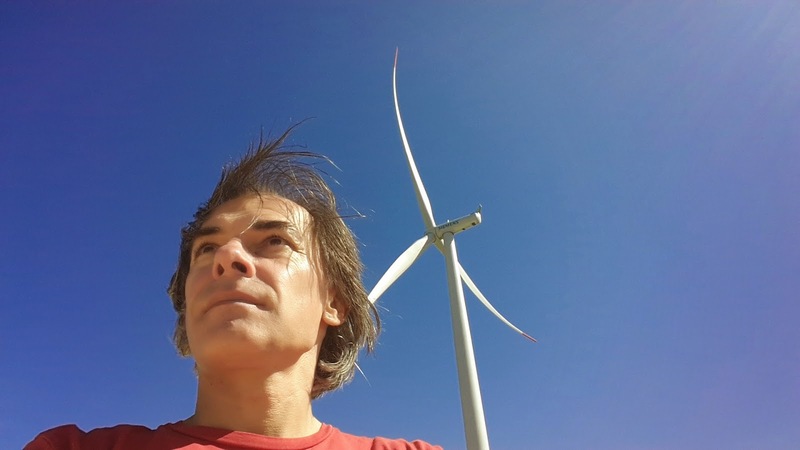 Croatian Center of Renewable Energy Sources. The multibillion dollar beauty industry continues to flourish, spurred by consumers' desire to look and feel forever-young. Several categories exist within the beauty industry, but none more vibrant than the anti-aging segment which includes products to reduce or reverse visible signs of aging such as wrinkles, age spots, and freckles. While aging is natural and cannot be avoided, there are factors such as solar radiation and physical and mechanical damage that accelerate the propensity of visible aging. Today, humans face increasing exposure to chemical pollution, ultraviolet radiation and ozone levels, all of which can damage the skin's dermal layer causing wrinkles and enhancing the risk of malignant skin cancer. These negative effects are compounded with increasingly poor diets and lifestyle habits which are not conducive to maintaining the skin's natural repair process and antioxidant network. Clearly, there is opportunity for natural ingredients to help improve long term skin health management through topical application and nutritional supplementation. In the past, Beta-carotene (provitamin A) and Vitamin E have been extensively studied. Recent focus, however, has switched to other carotenoids such as astaxanthin, (derived from the microalgae Haematococcus pluvialis), which is shown to have potent quenching and anti-lipid-peroxidation properties; a weakness of Beta-carotene and Vitamin E (Miki, 1991). In human trials, astaxanthin has been shown to reduce visible signs of UV-aging through both topical and dietary supplementation within 4 to 6 weeks of use. This data is supported by a number of in-vitro and animal studies. Research suggests potential skin benefits from the use of astaxanthin to maintain a youthful appearance, reverse premature signs of aging and prevent UV induced skin cancer. Naturally, further investigation is necessary to elucidate the mechanism of action and to replicate results using significantly larger clinical trials. 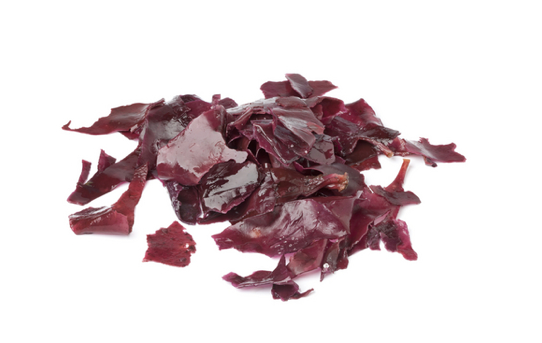 To date, the astaxanthin potential is promising. Oxygen radicals formed from UV radiation attack skin cells in a variety of ways. As demonstrated by O'Connor & O'Brien (1998), UVA light is capable of producing oxidative stress in living cells in-vitro. By monitoring catalase (CAT), superoxide dismutase (SOD) levels and thiobarbituric acid reactive substances (TBARS), Astaxanthin is capable of reducing oxidative stress, (2002) demonstrate that UVA irradiated skin cells pretreated with astaxanthin (10 μM) suffered significantly less DNA damage. Furthermore, astaxanthin protected the skin's endogenous antioxidants SOD and glutathione (GSH) from oxygen radical attack. Topical restoration of the skin's natural antioxidant balance is one method to maintaining healthy skin. UV radiation and air borne pollutants tend to strip away the nutrients essential to maintain the skin's hydrolipidic barrier. As a result, the skin will become dry and unhealthy in appearance. In a study using hairless mice, Arakane (2002) demonstrates astaxanthin's ability to suppress the formation of UVB photoinduced wrinkles. UVB doses of 65-95 mJ/cm2 were applied five times per week for 18 weeks on the back skin of the mice. After each UVB treatment, topical application of astaxanthin (350 μM) was coated on the exposed areas. After only 5 weeks, the appearance of new wrinkles were significantly reduced up until the end of the study period, (2001) demonstrates the same anti-wrinkle observations in female human subjects (n=3) using a topical cream containing astaxanthin. A dermatological assessment revealed significant reduction of wrinkles and puffiness on the lower eye and cheeks after 2 weeks of use. In a separate test using female subjects (n=11), instrument analysis recorded significant moisture improvement. Figure 1. Cheek moisture retention after 3 weeks application of astaxanthin cream (0.07% of 5% astaxanthin extract; Seki et al., 2001). Increased moisture content in 8 out of 11 subjects. "Beauty from within" or improved skin condition through nutrition and supplementation is a worldwide trend that is on the increase. The market for beauty supplements is currently worth 800 million dollars, and rapid growth in this segment is expected over the next 10 years. Two human clinical trials established the use of astaxanthin to improve visible signs of premature aging and general skin health. The first, a double-blind placebo controlled study (Yamashita 2002), showed that astaxanthin in combination with tocotrienol, (a superior form of vitamin E), improved several aspects of overall skin condition. Eight female subjects with dry skin conditions (mean age 40 yrs) received daily doses containing 2 mg astaxanthin and 40 mg natural tocotrienols. Several types of data were collected at 2 and 4 weeks and compared to the initial baseline readings. Measurable differences were observed starting just 2 weeks after supplementation. By the 4th week, the treated subjects with dry skin characteristics exhibited the following: increased moisture levels. Moisture levels increased in treated groups at 2 and 4 weeks. Control groups got worse. In the second study by Yamashita (2006), female subjects with a variety of skin types (n=49, mean age 47 yrs) were given either 4 mg (2 x 2 mg) astaxanthin or placebo in a single-blind, randomized, controlled study. After six weeks of consuming 4mg astaxanthin per day, the results of a standard questionnaire showed that the treated group of women all felt that their skin condition had improved significantly (Figure 4). Skin improvements seen in all categories after astaxanthin supplementation. Instrument analysis proved that the treated group had indeed achieved positive results in hydration. Figure 5. Dermatologist skin analysis of moisture and elasticity at 3 and 6 weeks astaxanthin supplementation (Yamashita, 2006). Astaxanthin reduced wrinkles and increase elasticity. The risk of skin cancer is increased in skin which is frequently damaged by the sun. Although skin cancer is almost 99% curable if detected early, 1 out of 90 people in the US or 1 out of 150 people in the UK will develop melanomas. Those in the highest risk category are people exposed to frequent short bursts of strong sunlight. Sun screens can block the UV rays, but dietary carotenoids such as astaxanthin can be vital for skin protection as well. In another study on hairless mice, Black (1998) demonstrates that astaxanthin significantly delays the UV ray formation of skin lesions and tumors. Further support comes from Savoure et al., (1995) which shows that hairless mice (SKH1) deficient in vitamin A, fed 10 mg/kg/feed astaxanthin alone or in combination with retinol, show enhanced skin protection after UVA and UVB irradiation. Astaxanthin significantly inhibited accumulation of putrescine . Skin is composed of three layers: the epidermis, the dermis, and the subcutaneous fat. The dermis contains collagen, elastin, and other fibers that support the skin's structure. It is these elements that give skin its smooth and youthful appearance – and these are the parts of the skin that are damaged by UV radiation (UVR). The UVR that affects the skin is composed of two types of waves; UVA and UVB. UVB rays are shorter than UVA rays, and are the main cause behind inflammation and melanin production. However, it is the UVA rays, with their longer wavelength, that are responsible for much of the damage associated with photoaging. UVA rays penetrate deep into the dermis, where they damage collagen fibers, leading to wrinkle formation (Figure 6). UV rays induce the production of in situ radical oxygen species (ROS) and matrix metalloproteinases (MMP). These factors are the root of wrinkle formation because they destroy the collagen matrix in the dermis. Fortunately, the skin's repair mechanism will rebuild the damage collagen. However, the hindrance of skin renewal by repeated exposure to uncontrolled levels of ROS and MMP leads to the formation of wrinkles. The presence of astaxanthin attenuates the effects of reactive oxygen and MMP and therefore, it allows the skin to regenerate properly (Figure 7). Oxygen present in our cells can form harmful radicals known as ROS or active oxygen when sufficient energy from UV rays is applied. ROS include singlet oxygen, superoxides and hydroxyl radicals (leading to peroxyl radicals) and they attempt to steal electrons from neighboring molecules such as DNA, phospholipids, enzymes and protein in order to stabilize. 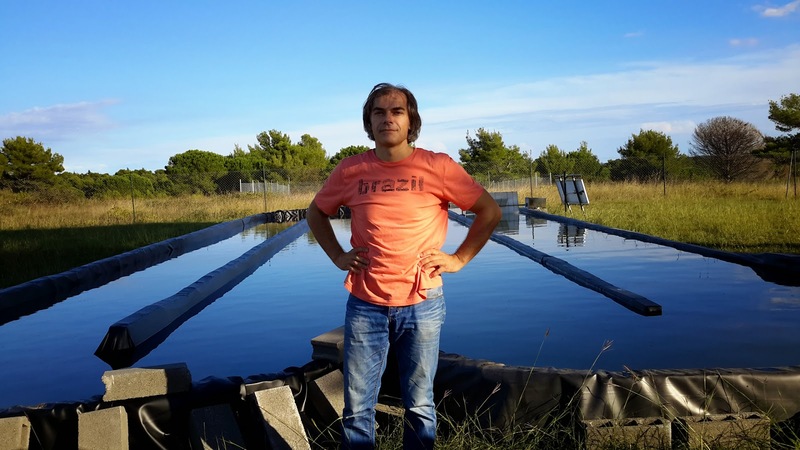 Fortunately, astaxanthin is able to quench singlet oxygen reactions and supress lipid peroxidation much more effectively than other well known antioxidants and thus control the presence of ROS. In vitro singlet oxygen quenching activity of Astaxanthin was found to be superior when compared to Catechin, Vitamin C, Alpha Lipoic Acid, Coenzyme Q10, Tocopherol, Lutein and Beta Carotene (Nishida et al., 2007). Singlet oxygen depletes the antioxidant defense system of fibroblasts, especially CAT and SOD. Fibroblasts secrete collagen, a main component of extracellular matrix which provides structural support to the cells. Exposing fibroblasts to singlet oxygen is a widely used technique to model ageing and UV oxidative stress. Furthermore, viability of the fibroblasts remains vital to the maintenance of healthy skin appearance. Tominaga et al (2009a) showed evidence on the ability of Astaxanthin to protect human dermal fibroblasts through in-vitro study. Human dermal fibroblasts were pre-incubated with Astaxanthin and other antioxidants and then exposed to singlet oxygen (Figure 8). Cell viability was restored to more than 80% when the cells were treated with Astaxanthin. In another study, Camera et al. (2008) compared the photoprotective properties of astaxanthin to other antioxidants on human dermal fibroblasts. After a physiological dose of UVA was applied, roughly equal to a UV dose accumulated within 1-2 hours on a sunny day. Astaxanthin was considerably superior at preventing cell death (reduction of caspase-3 activity at protein level) compared to Canthaxanthin and Beta Carotene (Figure 9). 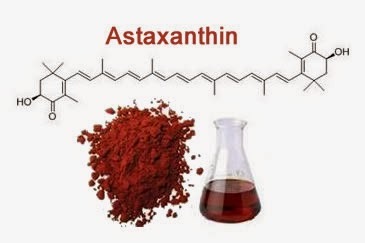 Study showed that astaxanthin had the highest ability to protect cells. Complementing astaxanthin oral administration with astaxanthin topical treatment (dual treatment) can have enhanced synergistic effects against premature skin aging since astaxanthin is effective at all layers of skin, the skin surface, epidermis and dermis. According to studies conducted by Tominaga et al. (2009b), astaxanthin "dual treatment" was found to be effective in all layers of skin. In a study with 28 subjects aged 20-55 years, astaxanthin effectively reduced wrinkles as well as improved skin elasticity. Replica analysis after 6 mg of astaxanthin supplementation combined with topical application for 8 weeks showed a reduction in the overall average wrinkle depth. Furthermore, a reduction in wrinkle width by 9%. Inflammation that normally follows sun exposure can be modulated by a powerful antioxidant. Yamashita (1995) shows in healthy male subjects (n=7), that topical natural astaxanthin significantly reduces burn level (erythema) by 60% at 98 hours after UVB exposure. We now know that astaxanthin works by suppressing the proinflammatory mediators and cytokines via the IκB kinase dependant NF-κB activation pathway (Lee et al., 2003). Natural astaxanthin is determined safe for topical and nutritional use. A total of forty-five subjects (males and females) were exposed to the Standard Japanese Patch test and results were reported 24 and 48 hours after application. Dermatitis was only induced by the adhesive plaster and not astaxanthin itself (Seki et al., 2002). Furthermore, Koura (2005) reports no adverse topical reactions in animal sensitization models. Astaxanthin is listed in the JP Cosmetics and INCI name as astaxanthin. Naturally, the best way to avoid photo-aging is through prevention of the solar effects on skin by applying sunscreen to areas vulnerable to increased exposure. However, recent surveys reveal that people in general are not doing enough to protect their skin. The use of powerful carotenoids like astaxanthin in topical and nutritional skin products can help deliver the benefits against the risk of accelerated photo-aging and skin cancer. Yamashita(2006). The Effects of a Dietary Supplement Containing Astaxanthin on Skin Condition. Carotenoid Science, 10:91-95. Koura(2005). Skin sensitization study of Astaxanthin in Guinea Pigs. Study No. 05035. New Drug Research Center Inc., Hokkaido Japan. Lee et al., (2003). Astaxanthin Inhibits Nitric Oxide Production and Inflammatory Gene Expression by Suppressing IκB Kinase-dependent NF-κB Activation. Molecules and Cells, 16(1):97-105. Arakane (2002), Superior Skin Protection via Astaxanthin. Carotenoid Sci., 5:21-24. Lyons & O'Brien et al., (2002). Modulatory effects of an algal extract containing astaxanthin on UVA-irradiated cells in culture. Journal of Derma. Sci., 30(1):73-84. Yamashita (2002). Cosmetic benefit of the supplement health food combined astaxanthin and tocotrienol on human skin. Food Style 21, 6(6):112-117. Seki et al., (2001). Effects of astaxanthin from haematococcus pluvialis on human skin. Fragrance J., 12:98-103. Black (1998). Radical Interception by carotenoids and effects on UV carcinogenesis. Nutrition Cancer., 31(3):212-217. O'Connor & O'Brien (1998). Modulation of UVA light induced oxidative stress by beta-carotene, lutein and astaxanthin in cultured fibroblasts. J. Derma. Sci., 16(3):226-230. Savoure et al., (1995). Vitamin A status and metabolism of cutaneous polyamines in the hairless mouse after UV irradiation: action of beta-carotene and astaxanthin. International J Vit. and Nutr. Res., 65(2):79-86. Yamashita (1995). Suppression of post UVB hyperpigmentation by topical astaxanthin from krill. Fragrance J., 14:180-185. Miki (1991). Biological functions and activities of animal carotenoids. Pure & Appl. Chem., 63(1):141-146. Camera et al., (2009). Astaxanthin, canthaxanthin and beta carotene differently affect UVA-induced oxidative damage and expression of oxidative stress-responsive enzymes. Experimental Dermatology. Vol. 18 (3), Pages 222 - 231 . Tominaga et al., (2009a). Protective effects of astaxanthin against single oxgyen induced damage in human dermal fibroblasts in-vitro Food Style 21, 13(1):84-86. Tominaga et al., (2009b). Cosmetic effects of astaxanthin for all layers of skin. Food Style 21, 13(10):25-29. Nishida et al. (2007). Carotenoid Science. Vol.11:16-20. The advances of information technology, software and electronics have led to the widespread use of screen based equipment or Visual Display Terminals (VDT) for both work and leisure. According to The National Center for Education Statistics, about 90 percent of children and adolescents in developed countries, ages 5 to 17, use computers at school or at home. About 50 percent of 9-year-olds use the Internet and at least 75 percent by ages 15 to 17. This phenomenon often lead to asthenopia or eye fatigue. The symptoms include sensitivity to glare, headaches, sore eyes and blurred vision. A recent study conducted by the National Institute of Occupational Safety and Health in USA found that over 90 percent of habitual users of VDT reported eyestrain and other visual problems associated with computer use. The American Optometric Association supported this in a survey reporting that between 50 and 75 percent of all VDT workers report eye problems. In another study conducted in Sweden, 23 percent of schoolchildren, aged 6-15 suffered from asthenopia-related symptoms (Anshel, 2009). Asthenopia prompted a large number of occupational safety studies. For example, epidemiological studies over the last decade revealed significant factors that contribute to eye fatigue. These studies, sometimes involving up to 6,000 sufferers identified the following causes: insufficient lighting, poor ergonomics and uncorrected vision. Despite the new information, follow-up studies later showed that the implemented improvements were only effective in 50% of sufferers. The possible explanations for this observation could be that other factors remained undiscovered, poor implementation of improvements, or visual work had become even more visually demanding. It is likely to be a combination of these factors so that current solutions are insufficient to reduce asthenopia. Standardized questionnaires that assessed subjective eye fatigue symptoms are in most cases mild, but symptoms get progressively worse if the causes are not rectified. Furthermore, certain ophthalmological tests can also detect eye problems, for example accommodation amplitudes, rate of accommodative reaction (positive and negative directions), critical flicker fusion (CFF) and pattern visual evoked potential (PVEP). So far, 10 Japanese clinical studies conducted by 9 independent ophthalmological establishments were able to conclude the efficacy of astaxanthin to alleviate visual asthenopia by observed improvements in the accommodation function and recovery of the ciliary body (Figure 1); retinal blood flow and inflammation markers. Asthenopia (eye fatigue) occurs on a daily cycle, in that the visual performance generally decreases naturally from morning until night. This problem exacerbates with a daily VDT load that lasts between 4 to 7 hours by affecting the accommodation performance of the ciliary body, which controls lens refraction. A couple of randomized double blind placebo controlled pilot studies demonstrated the positive effects of astaxanthin supplementation on visual function. For example, a study by Nagaki et al., (2002), demonstrated that subjects (n=13) who received 5 mg astaxanthin per day for one month showed a 54% reduction of eye fatigue complaints (Figure 2). In a sports vision study led by Sawaki et al., (2002), they demonstrated that depth perception and critical flicker fusion had improved by 46% and 5% respectively on a daily dose of 6 mg (n=9). The effect of astaxanthin on visual performance prompted a number of other clinical studies to evaluate the optimum dose and identify the mechanism of action. Overall, the 6 mg group improved significantly better at week 2 and 4 of the test period. Furthermore, questionnaire results obtained by Shiratori et al., (2005) and Nagaki et al., (2006), also confirmed the previous findings that astaxanthin supplementation at 6 mg for 4 weeks improved symptoms associated with tiredness, soreness, dryness and blurry vision. Another study by Takahashi & Kajita (2005), also demonstrated that astaxanthin attenuates induced-eye fatigue, as opposed to treating eye fatigue, which suggests prevention rather than treatment. Astaxanthin treated groups (asthenopia negative) were able to recover quicker than the control group after heavy visual stimulus. Later, Iwasaki & Tawara (2006) also confirmed the same tendencies of subjective eye fatigue complaints in a randomized double-blind placebo controlled double-crossover study. In addition to questionnaires, direct measurement associated with asthenopia is also strong indicators for understanding astaxanthin efficacy. These include accommodation amplitude (Figure 3); rate of accommodation reaction (positive and negative directions); CFF (critical flicker fusion) and PVEP (pattern visual evoked potential). Based on the quantitative information, the accommodation related measurements consistently improved after the treatment period (Nagaki et al., 2002, 2006; Nakamura et al., 2004; Takahashi & Kajita, 2005; Shiratori et al., 2005; Nitta et al., 2005; Iwasaki & Tawara, 2006) whereas the CFF and PVEP remained inconclusive (Sawaki et al., 2002; Nagaki et al., 2002; Nakamura et al., 2004). Therefore, the mechanism by which astaxanthin improved eye fatigue strongly indicates accommodation. Objective accommodation amplitude improves with 6mg astaxanthin. In a questionnaire survey study conducted by Kajita et al. (2009), 77 percent of 22 elderly males (age 46-65), after ingested 6 mg of astaxanthin daily for 4 weeks, felt better about the subjective symptoms related to presbyopia – a reduced ability to focus on near objects caused by loss of elasticity of the crystalline lens after age 45. In more detail, participants felt an improvement when seeing nearby objects and a decrease in blurred vision. This was followed by alleviation of eye strain and shoulder stiffness. In addition, the pupillary constriction ratio, used to assess the accommodative function of the eye, showed an overall improvement of 19 percent after supplementation of astaxanthin. Therefore, Kajita et al. (2009) concluded that astaxanthin may slow down the progression of presbyopia in middle-aged and elderly people. Accommodation measures the lens refractive property and it corresponds to the ciliary body function. This small ocular muscle controls the lens thickness in order to focus the light on the retina. In heavy visual workloads, the eye is focused on a fixed object distance for extended periods that will cause muscle spasms or develop fatigue detectable by accommodation tests. These tests are interrelated and include the following: accommodation amplitude; accommodation reaction (positive or negative) and high frequency component (HFC). Each clinical study used a combination of accommodation tests to indicate the amount of fatigue present. For example, increased accommodation amplitude in all treated subjects indicated improved reaction on near and far objects (Nagaki et al., 2002, 2006; Nakamura et al., 2004). Figure 4, Figure 5 and Table 1 reveal the higher rate of accommodation reactions measured in astaxanthin treated groups. These indicate the speed at which the ciliary body reacted to the direction change of focus (negative accommodation means from a near object at 35 centimeters to distant object at 5 meters or vice versa); (Nitta et al., 2005; Shiratori et al., 2005; Nakamura et al., 2005; Iwasaki & Tawara, 2006). The effects of astaxanthin are significant from 2 weeks. Another technique called HFC directly measured the microfluctuations in the lens during the accommodation response and typical values exist between 50 and 60 for normal eyes. Asthenopia sufferers (values greater than 60) experienced faster rates of recovery (Figure 6) in that their HFC results decrease towards normal values in less time compared to control groups (Takahashi & Kajita, 2005). Astaxanthin improves HFC accommodation recovery during rest periods after visual work. Retinal blood flow increases with astaxanthin after 4 weeks. Lastly, a top Japanese ophthalmology research collaboration between Hokkaido, Yokohama and Tokyo concluded anti-inflammatory properties of astaxanthin in endotoxin-induced uveitis (EIU or eye inflammation) both in vivo and in vitro models. Astaxanthin reduced the number of inflamed cells in the ciliary body. Anshel D. J. (2009). Healthy Eyes Better Vision, Summerlin Publishing Group, USA. Iwabayashi M, Fujioka N, Nomoto K, Miyazaki R, Takahashi H, Hibino S, Takahashi Y, Nishikawa K, Nishida M, Yonei Y. (2009) Efficacy and safety of eight-week treatment with astaxanthin in individuals screened for increased oxidative stress burden. J. Anti Aging Med. 6 (4):15-21. Miyawaki H, Takahashi J, Tsukahara H, Takehara I. (2005). Effects of astaxanthin on human blood rheology. J. Clin. Thera. Med., 21(4):421-429. Nagaki Y, Hayasaka S, Yamada T, Hayasaka Y, Sanada M, Uonomi T. (2002). Effects of astaxanthin on accommodation, critical flicker fusions, and pattern evoked potential in visual display terminal workers. J. Trad. Med., 19(5):170-173. Nagaki Y, Mihara M, Tsukuhara H, Ohno S. (2006). The supplementation effect of astaxanthin on accommodation and asthenopia. J. Clin. Therap. Med., 22(1):41-54. Nagaki Y, Miharu M, Jiro T, Akitoshi K, Yoshiharu H, Yuri S, Hiroki T. (2005). The effects of astaxanthin on retinal capillary blood flow in normal volunteers. J. Clin. Therap. Med., 21(5):537-542. Nakamura A, Isobe R, Otaka Y, Abematsu Y, Nakata D, Honma C, Sakurai S, Shimada Y, Horiguchi M. (2004). Changes in Visual Function Following Peroral Astaxanthin. Japan J. Clin. Opthal., 58(6):1051-1054. Nitta T, Ohgami K, Shiratori K, Shinmei Y, Chin S, Yoshida K, Tsukuhara H, Ohno S. (2005). Effects of astaxanthin on accommodation and asthenopia – Dose finding study in healthy volunteers. J. Clin. Therap. Med., 21(6):637-650. Ohgami K, Shiratori K, Kotake S, Nishida T, Mizuki N, Yazawa K, Ohno S. (2003). Effects of astaxanthin on lipopolysaccharide-induced inflammation in vitro and in vivo. Invest. Ophthal. Vis. Sci., 44(6):2694-2701. Sawaki K, Yoshigi H, Aoki K, Koikawa N, Azumane A, Kaneko K, Yamaguchi M. (2002) Sports performance benefits from taking natural astaxanthin characterized by visual activity and muscle fatigue improvements in humans. J. Clin. Ther. Med., 18(9):73-88. Shiratori K, Ohgami K, Nitta T, Shinmei Y, Chin S, Yoshida K, Tsukahara H, Takehara I, Ohno S. (2005). Effect of astaxanthin on accommodation and asthenopia – Efficacy identification study in healthy volunteers. J. Clin. Therap. Med., 21(5):543-556. Sussman M. (2001) Total Health At The Computer, Station Hill, New York. Suzuki Y, Ohgami K, Shiratori K, Jin XH, Ilieva I, Koyama Y, Yazawa K, Yoshida K, Kase S, Ohno S. (2006). Suppressive effects of astaxanthin against rat endotoxin-induced uveitis by inhibiting the NF-kB signaling pathway. Exp. Eye Res., 82:275-281. Takahashi N, Kajita M. (2005). 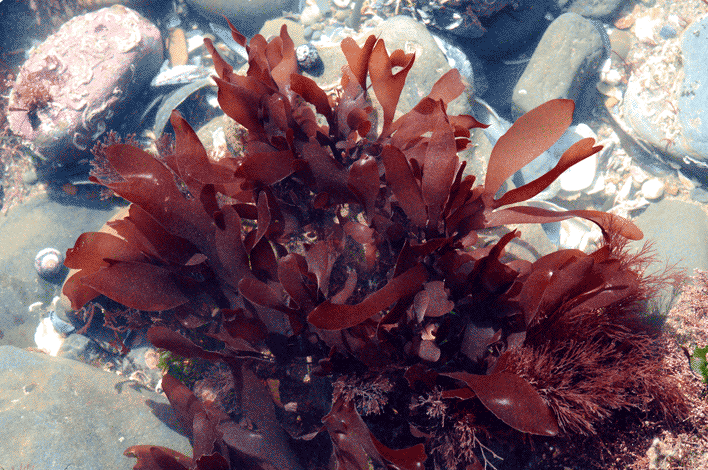 Effects of astaxanthin on accommodative recovery. J. Clin. Therap. Med., 21(4):431-436. High levels of triglycerides and low levels of HDL also increase the likelihood of fat-oxidation in vessels and formation of "wounds" in the inner lining of artery walls (endothelium) leading to chronic inflammation and oxidative stress; this situation causes degradation, narrowing and thickening of arteries. Three recent clinical studies have robustly pointed to astaxanthin ability to reduce fat peroxidation in blood plasma. In a randomized-double-blind placebo study, 33 overweight subjects received 5mg or 20mg astaxanthin daily for 3 weeks. Their lipid peroxidation markers plasma MDA Level (mmol) and plasma ISP (ng/mL) decreased by 30% and 60% in average (Choi et al., 2011). Animal studies have also shown that astaxanthin ameliorated structural changes in the blood vessels - reduction in wall thickness by 47% and improved vascular tone by 36% in spontaneously hypertensive rats (Hussein et al., 2006). Such structural changes was observed in the reduction of the number of branched elastin bands and improved vessel wall to lumen thickness ratio. In another study, 24 weeks supplementation of natural astaxanthin reduced levels of MMP3 expression in the aorta of rabbits - a crucial factor that lead to a degradation of elastin and collagen structures which determines the mechanical properties of connective tissues in the vessels (figure 7). In the experiment, astaxanthin enhanced plaque stability leading to a significant reduction of plaque ruptures (Li et al., 2004). Recent human studies suggest that 6mg daily of astaxanthin can enhance blood flow by 10% in terms of capillary transit time -how fast the blood runs through the vessels (Miyawaki et al., 2008). Another complementary study showed that astaxanthin decreased lower limb vascular resistance by 17% - the degree to which the blood vessels impede the flow of blood (Iwabayashi et al., 2009). (figure 8) High resistance causes an increase in blood pressure, which increases the workload of the heart. In 2005, Nagaki et al., conducted another randomized double-blind study in which 36 subjects who received oral astaxanthin, 6mg/day for 4 weeks experienced a 4% improvement in capillary blood flow (Nagaki et al., 2005).